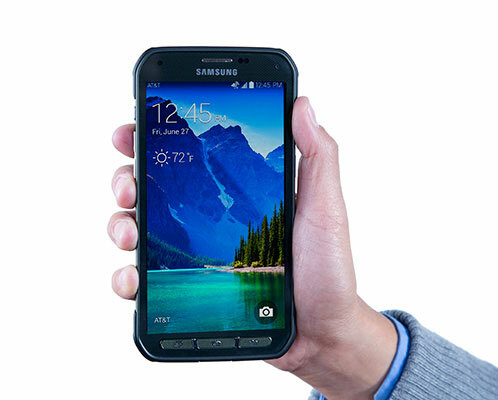 The long awaited Samsung Galaxy S5 Active has finally landed on AT&T. The device is currently available for just $199.99 under a 2 years service contract with the carrier, or rather $714.99 outright without tying yourself to any contract. In case you do not know, the Samsung Galaxy S5 Active is simply the rugged version of the Galaxy S5 – with similar spec sheet. Like the Galaxy S5, it will also be boasting a 5.1-inches Super AMOLED screen, 16-megapixels rear camera, Qualcomm Snapdragon 801 quad-core processor, 2GB of RAM, 16GB internal storage as well as Android 4.4 KitKat running in the background. If you’re interested, there are 3 color options for you to select for the device namely Camo Green, Ruby Red and Titanium Gray. Tell us if you’re interested in getting the device this summer!